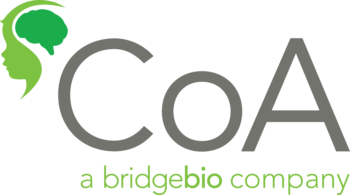 Adam Shaywitz, M.D., Ph.D. is chief medical officer at CoA Therapeutics and CMO-in-Residence at BridgeBio, LLC. Prior to joining the company he worked for five years at BioMarin Pharmaceutical where he served as an Executive Director in the Clinical Sciences group. While at BioMarin, Adam developed, designed and led natural history and clinical studies for a rare and debilitating pediatric neurodegenerative disease known as Sanfilippo Syndrome Type B. In addition to this, he played a key role in developing a number of programs aimed to treat a broad range of diseases including achondroplasia, endocrinologic disorders, Morquio A syndrome and other lysosomal storage disorders. During his tenure at BioMarin Adam also worked closely with the research and business development teams to develop and broaden the pre-clinical and clinical pipeline. Before joining BioMarin Adam spent four years at Amgen in their early clinical development group focused on advancing promising diabetes and metabolism agents into the clinic. He received his M.D. and Ph.D. degrees from Harvard Medical School and trained in adult medicine at Massachusetts General Hospital. He subsequently went on to pursue a fellowship in endocrinology, diabetes and metabolism jointly at the Beth Israel-Deaconess Medical Center and Joslin Diabetes Center, both in Boston, where he concurrently pursued postdoctoral studies in molecular physiology.